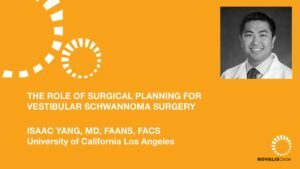 Isaac Yang, MD, Neurosurgeon at the University of California Los Angeles Health discusses the role of surgical planning for vestibular schwannoma surgery. 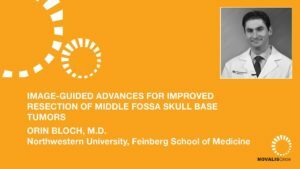 He begins by candidly telling the story of his “fifteen years of failures” in the study of the treatment of acoustic neuroma, beginning with hearing and facial nerve function preservation. 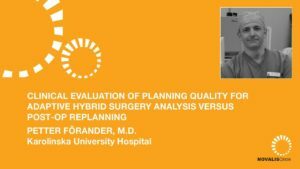 He then shares the outcomes from several studies to demonstrate these “failures” and what he learned over time about the extent of resection of these types of tumors, specifically in relation to Brainlab Adaptive Hybrid Surgery software. He ends his talk with an in depth discussion about how machine learning and big data will work to inform all types of treatments in the future. 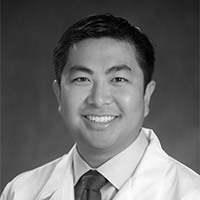 Board Certified Neurosurgeon and Director of Medical Student Education in the UCLA Department of Neurosurgery, Associate Professor in Neurosurgery, Head and Neck Surgery, and Radiation Oncology in the David Geffen School of Medicine at UCLA, and a Principal Investigator in the UCLA Brain Tumor Laboratory. Originally from Lodi, California, Isaac’s interest in neurobiology started as an undergraduate as he received his bachelor’s degree with Phi Beta Kappa from the University of California Berkeley. His training followed with a medical degree from the University of California Los Angeles Geffen School of Medicine. Dr. Yang completed a neurological surgery residency at the University of California San Francisco, as well as an NRSA NIH funded F32 post doctoral brain tumor research fellowship. Dr. Yang’s clinical focus has been primarily on brain tumors both glioblastoma and skull base tumors. His research efforts have examined antigen expression and manipulation of the immune response to glioblastoma. He has previously been recognized with a UCSF Clinical and Translational Scientist Training Award and the CNS Dandy Clinical Research Fellowship. Dr. Yang has been the recipient of several distinguished regional and national awards including the UCSF Medical Center 2010 Exceptional Physician Award, the AANS Integra Brain Tumor Research Award, San Francisco Neurological Society Edwin Boldrey Award for Basic Science Research, American Academy of Neurological and Orthopedic Surgeons Research Award, Kaiser Award for Clinical Research, the national AANS Leksell Radiosurgery Award, and the Tumor Section Ronald L. Bittner Award on Brain Tumor Research. Dr. Yang has published over 100 publications in peer-reviewed journals and has authored over half a dozen book chapters. 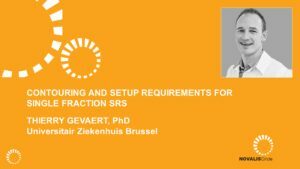 At UCLA, he is currently investigating the utilization of nanoparticles and nanotechnology for the application in brain tumor immunotherapy and vaccines. 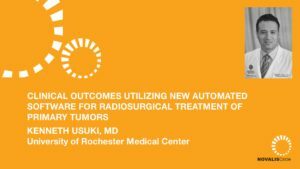 Dr. Isaac Yang is dedicated to improving the care and treatment of all patients with brain tumors and is deeply indebted to his wife Nancy for her support and all of his teachers and mentors who have guided him on this path. If interested please follow Dr. Yang on Facebook at Isaac Yang UCLA Neurosurgery or find his most recent book Service Minded Physician on Amazon.